Andrea Horwath's surging support in the latest polls is bringing scrutiny to her New Democrats' election promises, including a pledge to re-nationalize Hydro One, the province's giant utility partially privatized by the governing Liberals to raise money for infrastructure projects. The Ontario NDP leader has said the move would help cut electricity bills, which have more than doubled in the past decade. But some experts say moving the utility into the public sector's hands could be costly and it wouldn't automatically reduce electricity rates by a significant amount. "This seems more like a knee-jerk reaction to something that a lot of people didn't like when it happened," said Warren Mabee, director of the Queen's University Institute for Energy and Environmental Policy. The benefit of regaining complete ownership of Hydro One is not as simple as putting the privatization genie back in the bottle, he said. 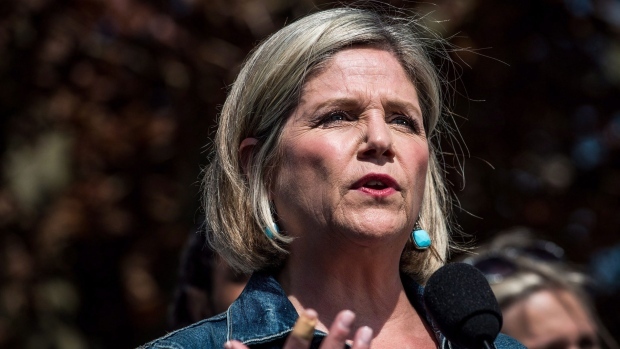 Under Horwath's plan, an NDP government would buy back 313 million publicly traded shares of Hydro One not held by the government for between $3.3 billion and $4.4 billion using the annual dividend of less than $300 million. Experts say the party could be underestimating the real cost by several billions given the shares' current trading price of about $19.50 and a possible 30 per cent takeover premium shareholders would likely expect. For decades, the utility formerly known as Ontario Hydro, was publicly owned until Conservative and Liberal governments took steps towards privatization. Returning to public ownership doesn't make sense amid a paradigm shift that has seen power generation become more local and consumers increasingly use rooftop solar and other means to generate more of their electricity needs, said Mabee. "I think that trying to put back together those old big, basically government-controlled entities and expecting them to provide innovative new solutions when the landscape is changing so dramatically is probably not the right way forward," he said. "I'm not saying that they're wrong to do this but I don't understand their broader strategy and how this ultimately is going to deliver value back to the taxpayers above and beyond what we're already getting because we still own a chunk of it." Hydro One was partially privatized in November 2015, and by December 2017, the province had sold off 53 per cent of its stake. 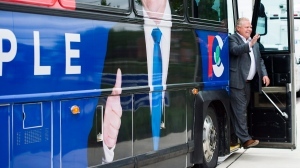 The government said the privatization would raise $9 billion to fund transit and infrastructure projects, but the decision was met with harsh criticism not only from the opposition parties, but also the province's financial watchdog, who said funding those projects through traditional debt would have save the province $1.8 billion. 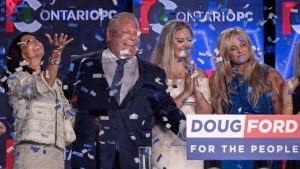 Faced with growing public anger, the Liberals offered province-wide rebates of 25 per cent on all electricity bills by extending the time to amortize the increases, which in the long run will end up costing more. The Liberals, who polls suggest are stuck in third place -- way behind the NDP and the Tories -- have said Horwath's hydro plan would use over $6.5 billion in money earmarked for health care, education, and transit investments, being used to buy back shares of Hydro One. University of Waterloo professor Jatin Nathwani described the NDP proposal as putting Humpty Dumpty back together again. "To argue that somehow bringing it back under government control magically everything will be fine is an open question," he said in an interview. The Liberals made a number of poor decisions over the past decade but the $50 billion in investments made under its watch have refurbished a system in need of repair, Nathwani added. Partially privatizing Hydro One has generated lots of private capital required to upgrade the electrical system that the provincial economy relies upon, added Adam Fremeth, associate professor of business, economics and public policy at Western University. There's a lot of managerial discipline that often comes from privately held, publicly traded corporations needing to respond to shareholders, he added. Customer service and reliability has improved with improper billing decreased since the utility was partially privatized, said Fremeth. 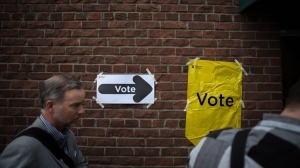 A smarter move by the NDP would be just buying another four per cent of shares to gain majority control, which would require the renegotiation of the shareholder agreement, said Nathwani. "That's probably a cheaper way and the optics may be right to say we are in control and allow the company to be run on semi-private principles to attract capital."